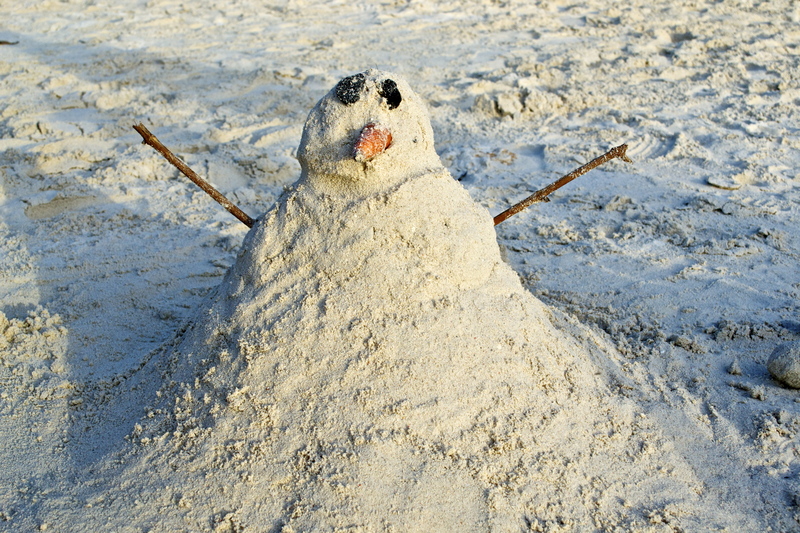 Who says you can’t have a white Christmas in the tropics? “World’s Best” lists are convenient when you have the urge to travel yet have no idea where to spend the holiday season. With the rain pouring down on Makassar and going home to Texas not being an option, I figured why not explore stay in SE Asia and explore more? After a couple eager minutes of googling, “best beaches in the world”, I stumbled across Boracay Island in the Philippines. Not any place would do for Christmas, especially a Christmas in which I was already far, far from home. Wow did the pictures look stunning, but could Photoshop be to blame? Some more digging revealed that this island was voted World’s Best Trip by Travel and Leisure in 2012 and toggled between the top five spots since 2011 for the world’s best islands. Impressive. With some big, sandy shoes to fill, I wondered if the island could still measure up to its lustrous title. Descriptions of translucent sea and talcum white sand had me salivating for Christmas to come quickly; I was sold on the idea of relaxing on those beaches. This past year I must admit that I’ve been spoiled in Indonesia. I’ve been to Bali twice and have seen some pristine, untouched beaches of my dreams in the region, raising the bar pretty high, (then again, having the Gulf of Mexico as my beach growing up kept the bar pretty low). I knew my expectations were elevated after all the hype I’d heard about this island, but I knew it would be worth trying. After the excitement that comes along with booking subsided, worry came over me. Did I pounce too soon? I kept finding articles of people claiming Boracay was too commercial, too crowded and not worth going to. Articles from other travel writers either praised the island or put it down; there wasn’t a lukewarm sentiment on something that looked so objectively awesome. Blue sail boats pacing back and forth on the coast, giving eager passengers a look of the stunning beach from the water. So what’s the verdict? 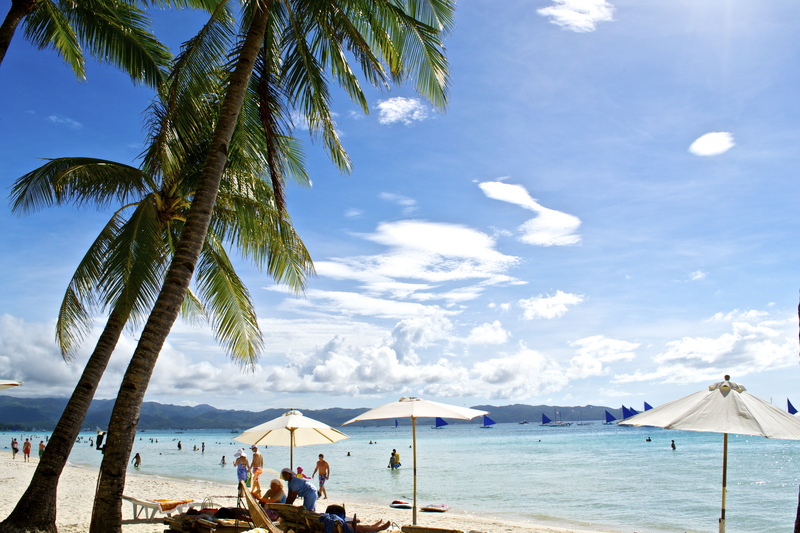 Is it worth saving your pennies and scrambling to Boracay the first chance you get? Well, the assertion that Boracay might be the “last untouched beach in Asia” is simply no longer true. Hotels, restaurants and shops are booming with business and popping up every year after the worldwide attention put this little island on the map. And like a beauty queen trying to keep her crown, Boracay will only develop more to keep up with the dreamer’s demands of a perfect island. But that certainly doesn’t mean there isn’t an excess of beauty to take in and relaxation to revel in. 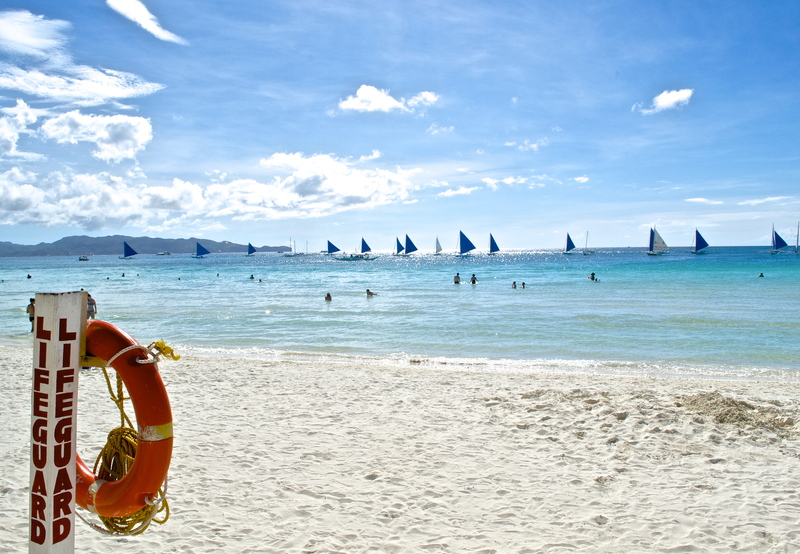 The short answer is yes, Boracay is definitely worth the visit. The most glaringly obvious reason is that it’s just as beautiful as the pictures lead you to believe. Detractors say the island is far too commercial, but oddly enough, I thought this was its strength. So what there’s a Starbucks on the island, dozens of spas and restaurants? This fact isn’t what bothers me and it probably won’t bother a traveler who knows this in advance. If you’re looking for untouched beauty and want seclusion on your vacation, then don’t come to Boracay. Consider El Nido, also in the Philippines. If you want to be surrounded with gorgeous scenery and the comforts you’re used to, you’ll be just fine here. The thing working against Boracay is that it’s very crowded on White Beach, and I found this to be true as somehow the beauty felt less authentic with all the foreigners roaming around taking pictures as fast as their fingers could muster. Sometimes relaxing here on the pristine White Beach meant relaxing next to hundreds of other tourists who had the same idea of basking in the sun and drinking an ice-cold beer. As a testament to how crowded the island can get in high season, we were elbow to elbow with people, yet many vendors and shop keepers shook their heads in defeat when asked if tourism had been hit by the recent typhoon Haiyan. They said this was “slow” compared to what they had seen in past years. I can only imagine the crowds during a normal high season. Fortunately, Boracay has havens to escape to up north like Baling Hai, Diniwid, and Puka Shell Beach offering stunning views with fewer people. My most memorable days were spent on those beaches. Baling Hai is a really small, isolated cove offering the same beautiful water; Diniwid is a smaller version of White Beach and Puka Shell is a gorgeous beach with stronger waves. Best Place to Spend the Day? Spider House. Patrons can jump into the water overlooking Diniwid Beach and climb back up to their food and lounge after they’ve tanned on the bamboo platforms in the water….Check out the photos below from some of the more private havens on the island. THINGS TO DO? The island caters predominantly to Asian tourists and is truly accommodating, filled with endless shops, spas, restaurants, and day activities all within an arm’s reach. Within 4 km of perfect sandy beach, you can find every country represented with its delicious and decently priced cuisine. Have your taste buds travel to India, Italy, Mexico, Austria, America, Japan, Morocco and more all on one island. For a more detailed list of culinary highlights, click here. My love and I. Baling Hai. Getting a massage on Diniwid Beach. Pure bliss. Got a light? One of the fire dancers and their amazing tricks. Party, Party! 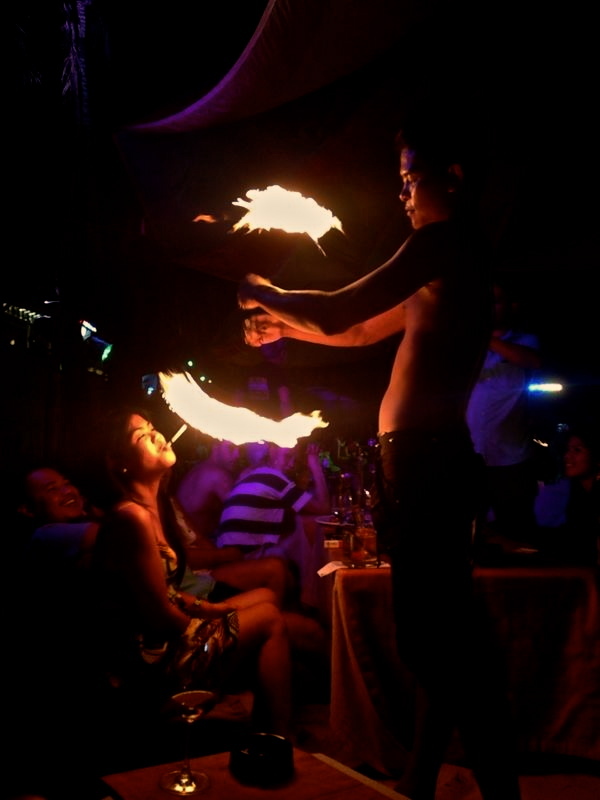 Boracay is famous for its party atmosphere and offers more than one way to unwind, meet new people and have fun. Maybe it was the Christmas cheer in the air, but everyone was so happy to be there. 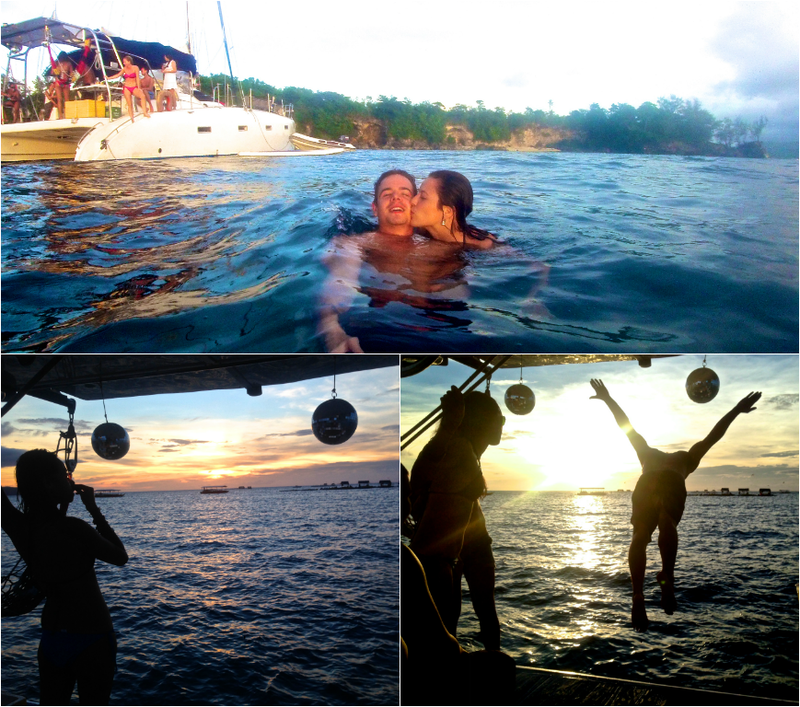 We took advantage of the party reputation of Boracay and joined the Manic Monkey crew on a catamaran sunset cruise. Disco balls, house music, drinks, food, swimming and sunset. Their crew was keen on entertaining guests and keeping the mood going. It was incredibly memorable and worth the 35 euros. By night, walk the beach and pick one of the countless bars luring you in with fun music, good drinks and colorful island decor. Fire dancing is a must, but don’t take part if you’re arsonphobic! Some dancers are more outgoing and get remarkably close to the patrons in the front row. Partying on the Manic Monkey catamaran. Disco balls, diving and swimming at sunset. A must do on Boracay! Ralph’s Place Tucked up on a hill and staring over the kite surfers bobbing on the water below, you’ll find Ralph’s place. Comfortably located away from the bustling White Beach strip, the bungalows and garden grounds are a perfect place to overlook this island and see another side of Boracay. Each room has a little garden outside and chairs to sit and enjoy the view. Ralph and his family are very hospitable and helpful. 15 minute walk from D-Mall and White beach. 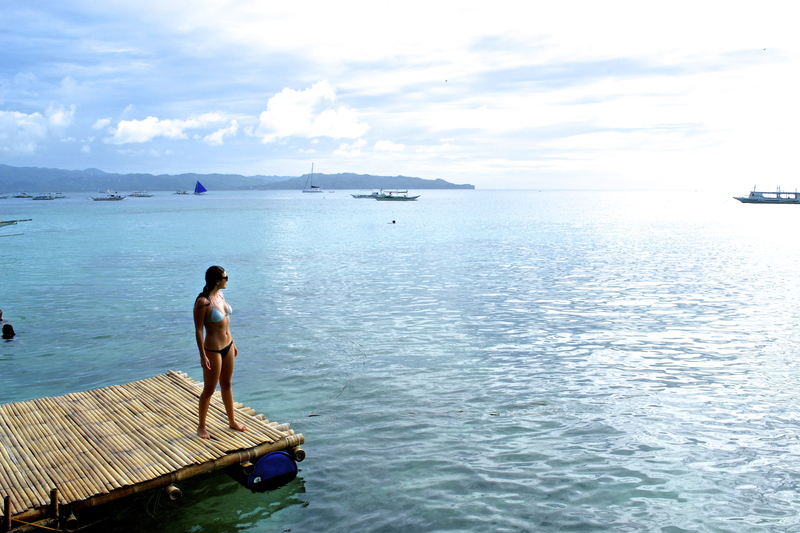 Loved your post – I am planning another trip to the Philippines and have heard great things about Borocay. The American dollar goes a long way in the Philippines and everyone there is so friendly! Thanks, Chad! The Philippines really impressed me, and I’d love to go back.Where are you planning to go next?